Our Gold Coast dog grooming experts draw on over a combined fifty years of experience in clipping and grooming to provide both guests and visitors with a range of options. At a cost from only $44.00 for the deluxe package, our salon endeavors to provide high quality, yet affordable grooming services for canines and felines alike. We offer a full range of professional dog grooming and clipping services, from a basic wash and blow dry to a full body clip. We use gentle shampoos that don’t cause skin irritation and work in a reassuring manner that puts your dog at ease. 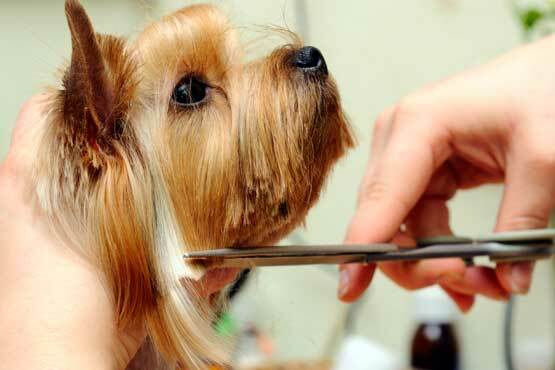 Our dog groomers are able to clip your pet in a variety of styles or to your specific preferences. Ensuring your pet remains clean and healthy is one of the key responsibilities of pet ownership. If you lead a hectic lifestyle and don’t have time to bathe your dogs yourself, having them professionally washed is the ideal way to keep them looking fabulous, while cleansing them of unwanted smells and germs that gather in their skin and fur. 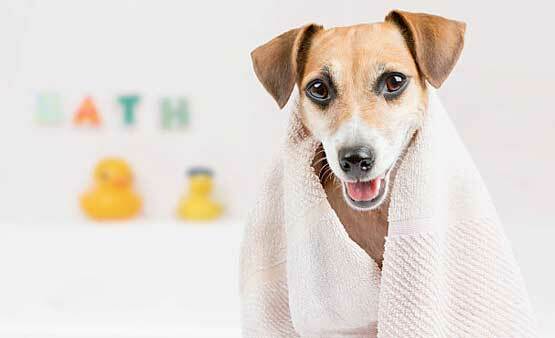 More than just a great way to keep your dogs clean, Hydrobaths have therapeutic benefits as well. With a Hydrobath, the water and shampoo is able to penetrate deep into the surface of the dog’s skin, helping to assist in the treatment of skin irritation and hygene. Additionally, the massaging effect of the water jets can also help with muscle fatigue and other conditions, as well. Attempting to clip your dog’s nails on your own, can be a daunting task for you and an unpleasant experience for your dog. In some cases, untrimmed nails can cause pain and discomfort for the pet. Our highly experienced personnel can professionally clip your dog’s nails in a calm and composed manner, minimising their stress at all times. Ticks and fleas can be enormously distressing for pets and owners alike. 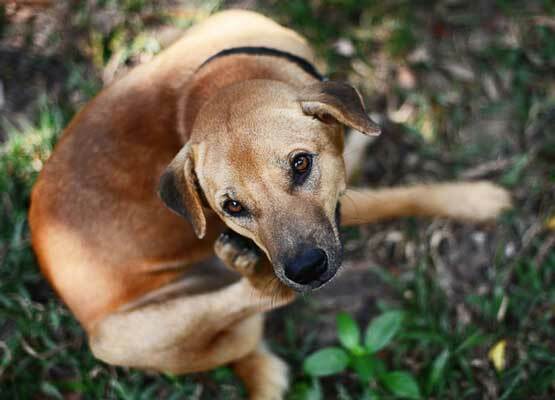 In extreme cases, fleas and ticks can be harmful to a pets health and wellbeing. They cause ruthless irritation, itchiness and general discomfort. The only way to ensure that you and your dog or cat is protected from ticks and fleas is to have them treated on a regular basis. There are two kinds of flea treatment for dogs; oral (such as chewable tablets) and topical, which are applied directly to your pet’s skin. When it comes to treating your dog for ticks and fleas, it is wise to examine them on a regular basis, particularly if they spend a lot of time outside and especially if you reside in an area that is known to be inhabited by them. We provide a range of products and treatments for dogs and cats so please have a chat about what course of action would be best for you and your pet. about our premium Gold Coast dog grooming services, please contact us.